Happy New Year, everyone! To kick off the new year nicely, we are unveiling the official poster for Hello, Rain as well as a Behind-the-Scenes sneak peek. As you know, we released the character posters early last month, and slowly we are building you up to a trailer. We know you can’t wait for that! 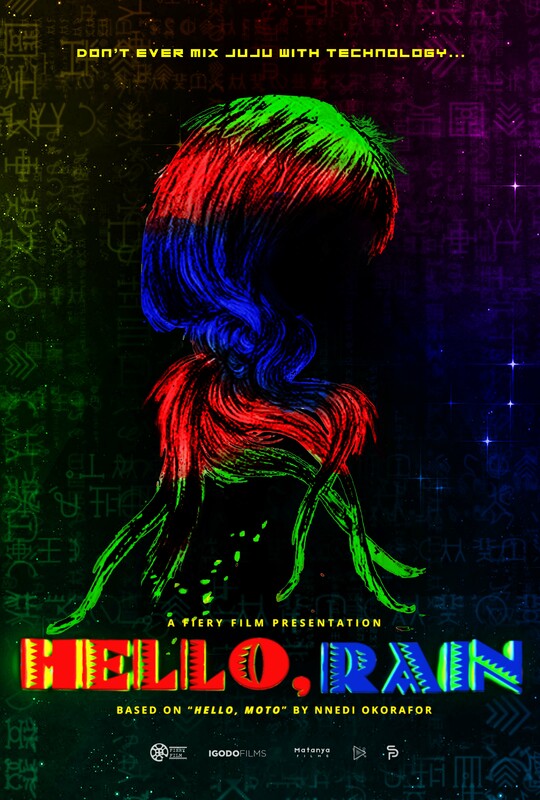 Hello, Rain is an afrofuturistic short based on Nnedi Okorafor‘s short story “Hello, Moto”. It is a Fiery Film presentation, in association with Igodo Films and Matanya Films. Here’s a little Behind-the-Scenes sneak peek to whet your taste buds. Enjoy!